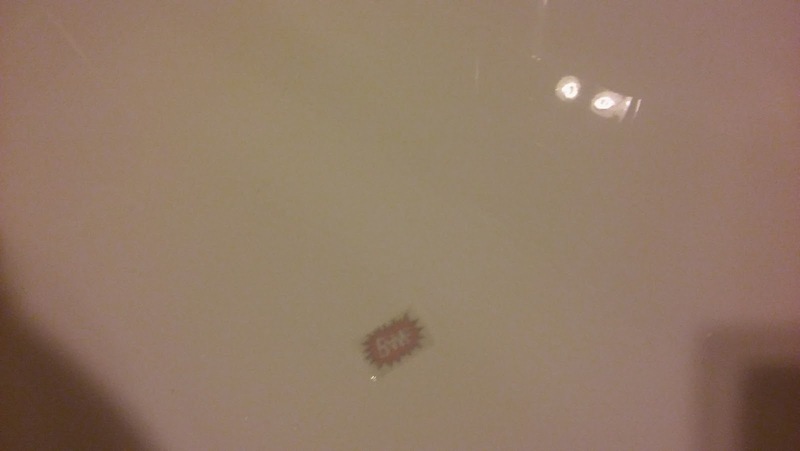 Last Saturday I came home from work, and went straight upstairs to run myself a nice hot bath. I love a good bath after work- I find it so relaxing, and I feel so fresh afterwards. 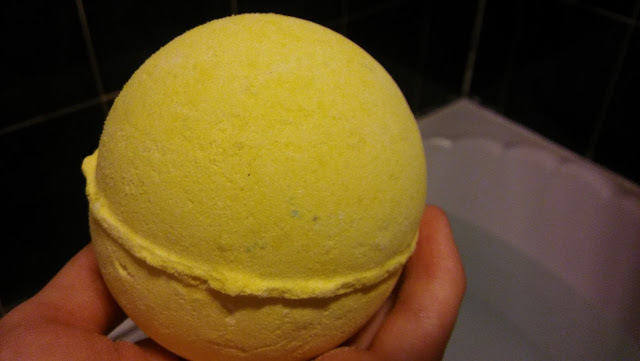 I've been using Zoella's bath fizzers a lot recently, so I decided to change things up a bit and use the fizzbanger bathbomb I bought from Lush. It had been sitting in one of my drawers for just under a week, and it honestly made my whole bedroom smell so nice, even when it was carefully tucked away... it almost felt like if I closed my eyes I'd find myself in a lush store. 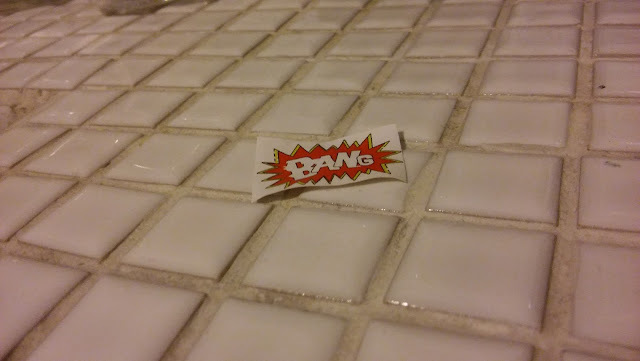 When I got enough water in my bath at a perfect warm temperature, I let the bath bomb take the plunge. It instantly fizzed up, with an explosion of yellow suddenly tainting the water. As it dissolved further, a spray of blue came out from the centre of the bath bomb, mixing with the yellow to create a lime green colour. 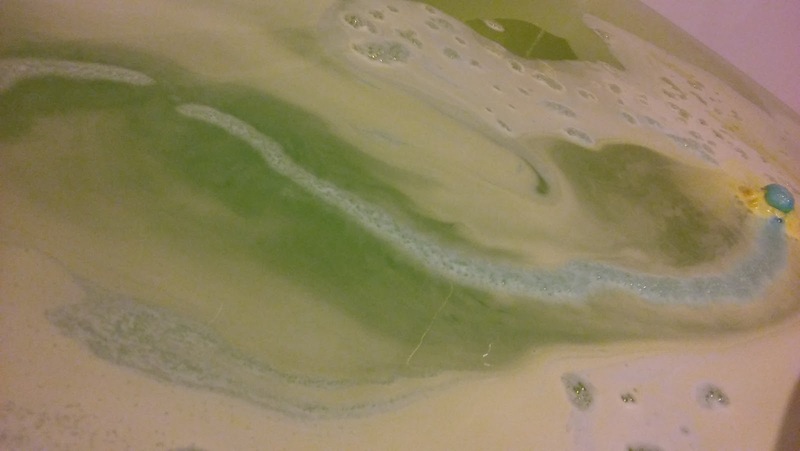 As you can see in the pictures below, it totally changed the colour of the bath water, and the foam that came from it created a gorgeous green, yellow and blue galaxy-like effect on the waters surface. The pictures I took don't even capture a fraction of how gorgeous it looked in real life. 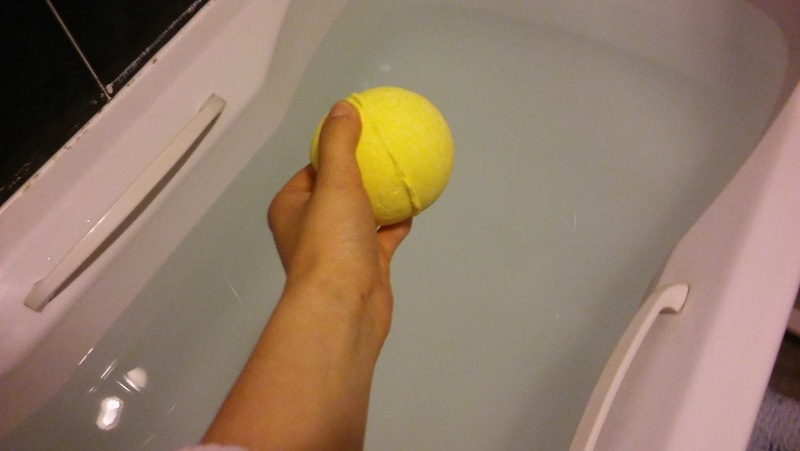 What's your favourite bath bomb? I've actually never tried a Lush bath bomb! I need to try one! This is so beautiful! 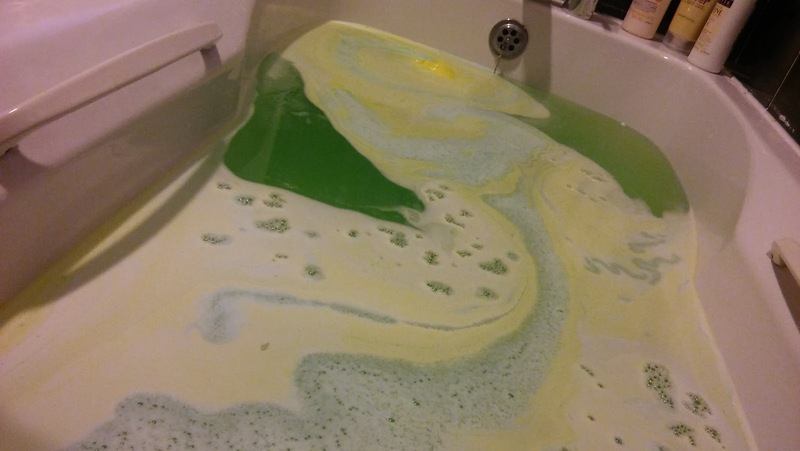 Now, I need to go and buy some lush bath bombs! I haven't tried one yet!! If you think it looks beautiful in photos, you need to see them in real life! The scents are heavenly too!